Home / Posts tagged "Traffic Violations"
Police in Princeton NJ are investigating a traffic accident that resulted in a local woman being hospitalized. According to authorities, the 56-year-old victim was driving her 1997 Ford Expedition on Mercer Street near Hale Drive when she lost control of the vehicle and skidded off the road. The SUV ultimately came to a stop when it struck a large, uprooted tree on the side of the road. Sometime later, emergency responders arrived at the scene and found that the woman was trapped inside the vehicle. The emergency responders eventually removed the woman from the SUV. Police said that the driver suffered minor injuries in the accident. After the driver was extricated from the vehicle, she was transported to University Medical Center of Princeton at Plainsboro, where she received medical treatment for her injuries. In addition to causing bodily injuries to the driver, the accident also resulted in extensive damage to the front end of the SUV. Police had to shut down Mercer Street for roughly one hour after the accident. Once the woman was taken to the hospital and the debris was removed from the street, police reopened the road for traffic. Princeton police indicated that the accident is currently under investigation. At this time, the driver has not been charged with reckless driving or careless driving. A single-vehicle car accident in Ewing NJ left three people with injuries and led police to charge the driver with drunk driving. Ewing police received a call about a car accident on the southbound lane of Bear Tavern Road in Ewing, New Jersey. When police officers got to the scene, they saw a 2005 Ford Mustang which had crashed into a utility pole. The pole reportedly sustained serious damage, with power lines also falling down. According to police, the live power lines made it difficult to excise at least one of the passengers from the car. The vehicle was allegedly driven by a 19-year-old resident of Ewing. After the accident, the driver and two adult passengers in the car were taken to a nearby hospital to be treated for their injuries. The driver was later charged with driving while intoxicated because her blood alcohol concentration (BAC) was reportedly above the legal limit of .08 percent. However, police have not revealed the driver’s precise BAC at the time of the crash. Additionally, the driver faces charges for underage DWI because she was under the legal drinking age of 21. The driver was also cited for several traffic violations, including reckless driving, careless driving, and failure to keep right. The Ewing Township Police Department is considering the possibility of equipping officers with body cameras. 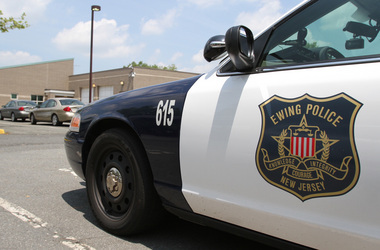 The Ewing council recently voted to support a local ordinance that grants authority to the current administration to bond funds for the purchase of new equipment for the police department. The equipment may include new computers and patrol car cameras, as well as body cameras for officers on patrol. Bert Steinmann, the Ewing mayor, said that patrol vehicle camera systems are old and need to be upgraded so that they are more in line with modern systems which provide high-definition footage. According to John Stemler, a lieutenant with the Ewing Police Department, it is also crucial that the department replace the servers for cameras because the current servers have been crashing a lot recently. Moreover, said Stemler, the current servers could lose existing footage if they are not replaced. It has not yet been determined if the department will acquire body cameras for officers. That’s because the purchase of body cameras is a secondary priority to the purchase of new computers and patrol car cameras. However, the hope is that officers will eventually be equipped with body cameras so that there will be a more complete record of police interactions with the public. This would be particularly helpful in DWI cases and traffic cases. It would also protect the public against abuses of police power and unwarranted resisting arrest charges. The ordinance will have to pass a second time in December, after which the new cameras would probably be installed in police patrol cars during the first six months of 2015. The cameras will likely be placed in the department’s newer vehicles prior to being installed in older vehicles. If the police force ultimately purchases body cameras, the total cost of the technological overhaul could rise to $320,000. Authorities are trying to determine the cause of a serious school bus crash on Route 206 in Princeton, New Jersey. A 26-year-old Morris Plains man was driving a 2011 BMW 328i northbound on Route 206 when his vehicle struck a school bus which was headed to Ewing and traveling southbound on the highway. The accident occurred near Hutchinson Drive, with the BMW hitting the left front bumper of the bus. Early indications are that the BMW crossed a double-yellow line on the road. According to police, the impact of the collision caused the bus to flip over on its side. Meanwhile, the force of the impact caused the BMW to spin around. Four people suffered injuries as a result of the auto accident. Three of those injured were transported to University Medical Center of Princeton at Plainsboro. The injured parties included a 16-year-old student at Rock Brook School, a 71-year-old teachers’ aide, and the 44-year-old bus driver. Thankfully, none of the injuries are considered life-threatening. Police said that all of the individuals were conscious and fully alert when paramedics arrived at the accident scene. Meanwhile, the driver of the BMW was transported to Capital Health Regional Medical Center in Trenton. He was treated and later released. Police closed Route 206 for several hours while investigating the accident. The road was eventually reopened around the tail end of rush hour.